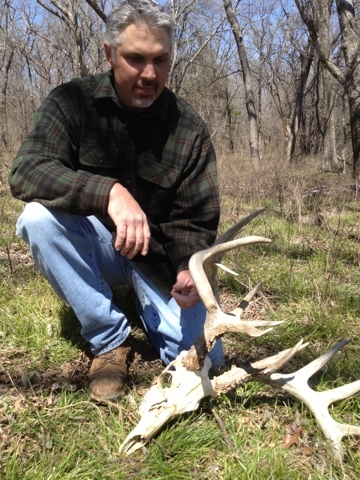 When you're shed hunting or doing something else in the woods and you find a BIG skull from a buck that died, your first thought is YES!!!! I found a BIG skull. The next thought is "Dang, I'll never get to hunt him." 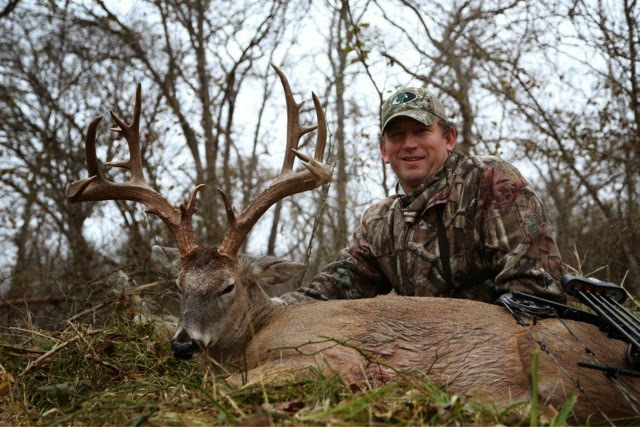 That's all part of the highs and lows of hunting. I found this skull the other day and went through both emotions. 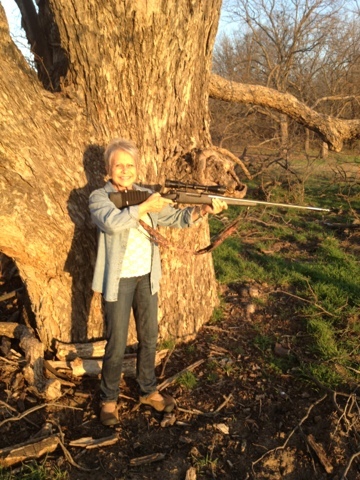 Imagine your 70 year old mother, who has never hunted before, coming to you and saying, "I'd like to shoot one of those wild pigs." Your answer better be let's go! I had the privledge of taking her for the first time. She managed to shoot one on the first try! 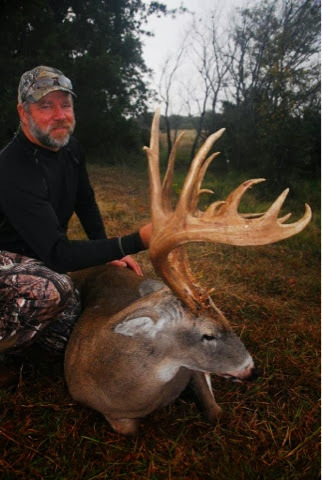 Those of you that have hunted on the ranch before have probably seen Nuke. 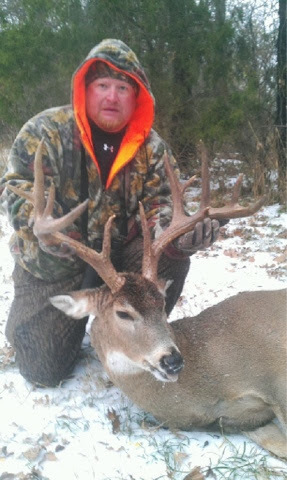 Nuke is a buck that one of our hunters named 5 years ago. He said, "He looks like he's been eating down by the nuclear plant!" Since that time he's had anywhere from 30+ to 22 points. He looks a little different every year. 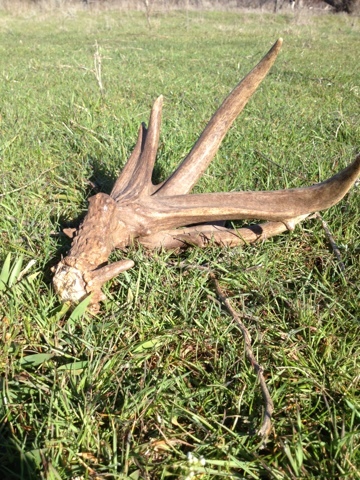 Today I stumbled on one of his sheds. 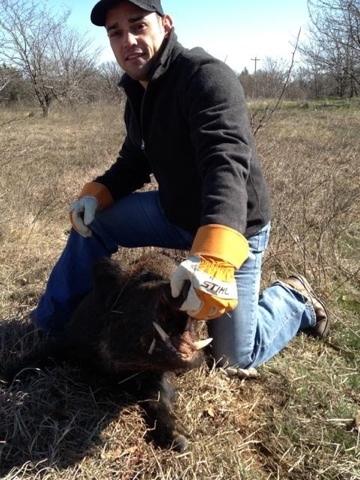 One of the big boars from last weekend! 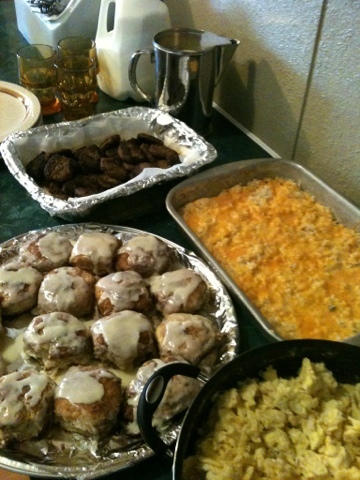 Breakfast for the pig hunters! 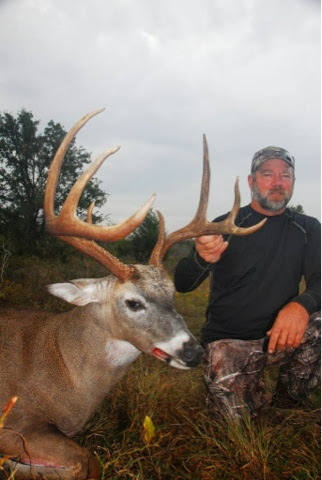 A great way to extend the hunting season! Shed hunting! It's that time of year. 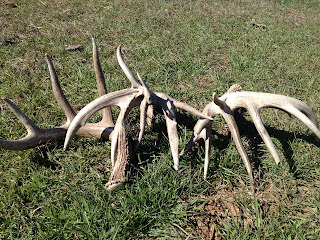 Found these yesterday simply driving to move the cattle.